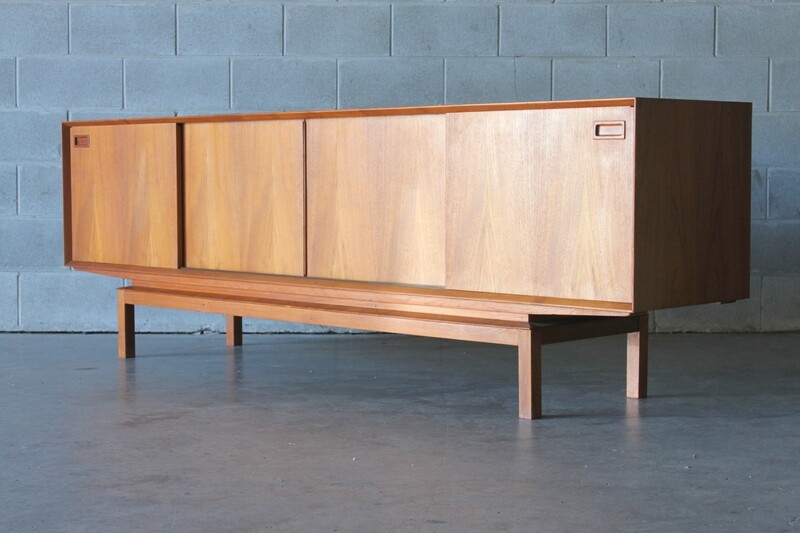 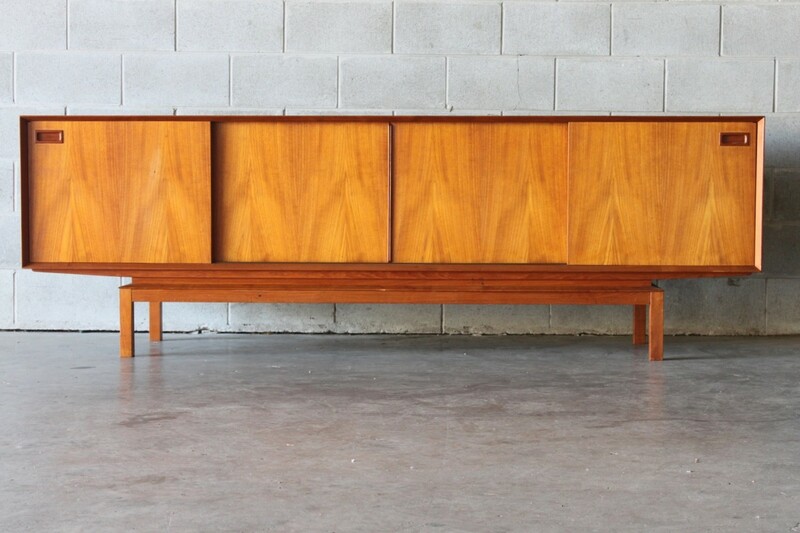 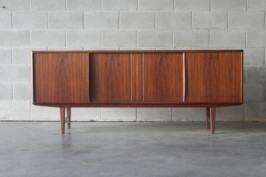 A longline Danish sideboard made of lovely teak, it is very heavy and well built with teak used throughout the piece internally and the rear is also finished in teak. 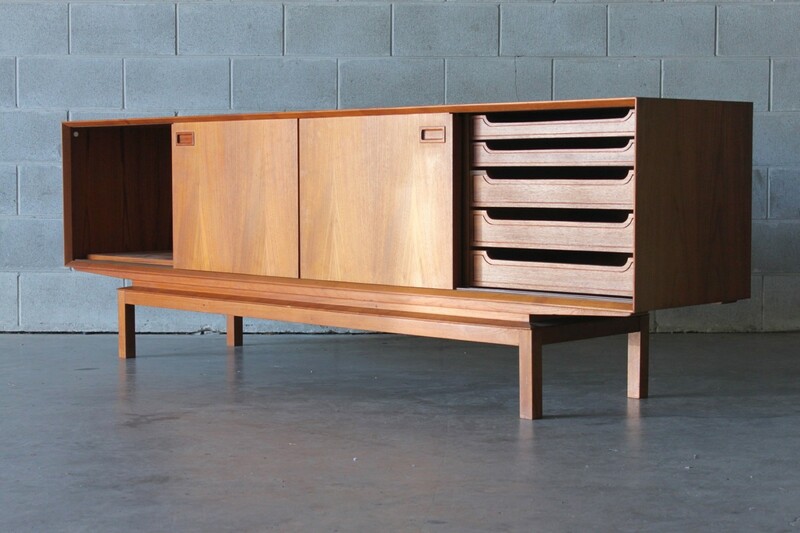 The shelving is adjustable and to the right there is a set of drawers that glide with ease. 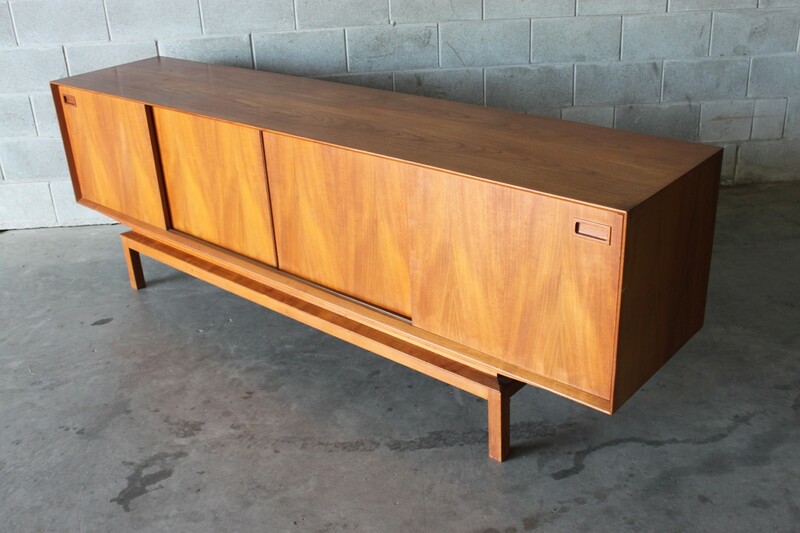 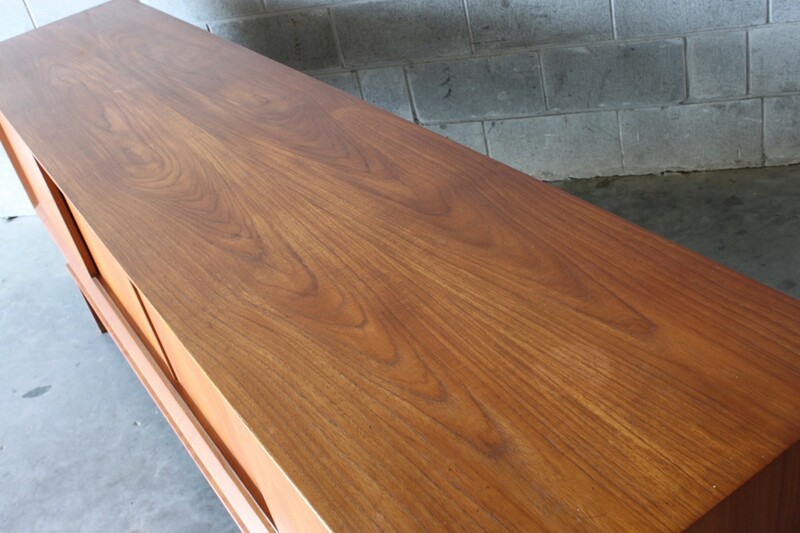 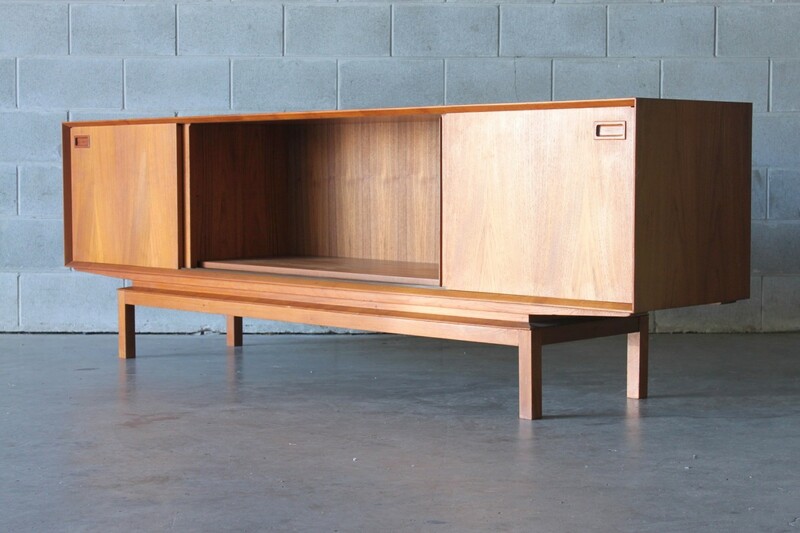 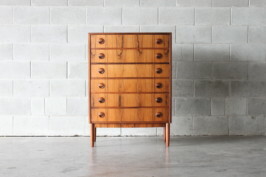 This unit is extra long ideal if you need to fill that large wallspace in the home or office.